It’s all about bubbles on this edition of Crystal Palate’s Wine Country. Our special guest this week is Alan Tardi the U.S. Ambassador for Prosecco and author of Champagne, Uncorked. 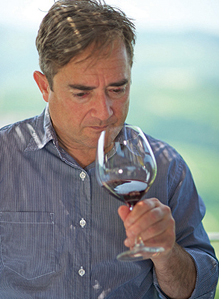 Alan is also the author of Romancing the Vine, Life, Love & Transformation in the Vineyards of Barolo and he is a regular contributor for the NYT, Wine Spectator and Decanter just to name a few of his many accolades and has also worked as a chef, sommelier and consultant for many restaurants in NYC and Italy. While Prosecco is one of the most popular sparkling wines in the marketplace, it’s easy going with lots of luscious fruit and crisp acidity, but it’s often misunderstood and doesn’t quite get the respect it deserves especially for the higher-end single vineyard selections. 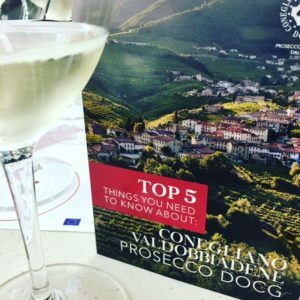 On the program, we are going to take a deep dive into Prosecco region of Italy, the grape, the regions and the extraordinary value from this part of the world, plus we’ll talk about the primary difference between Prosecco & Champagne.